Do not patronise your reader by stating the obvious. Presumably ‘children’s playground’ is necessary to differentiate it from an adults’ playground or an octopuses’ playground. 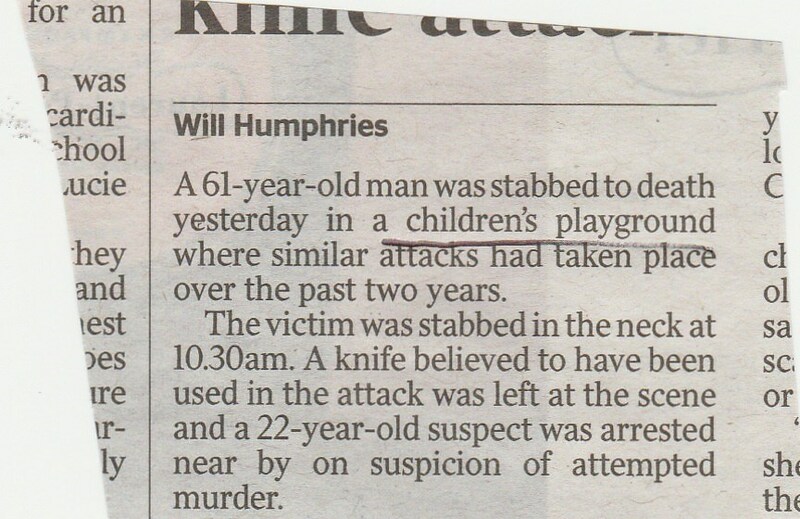 This is my heavy-handed way of saying that ‘playground’ incorporates the idea of its being for children. Incidentally I have never seen ‘nearby’ as two words before. A strong entrant in the Most Meaningless Heading of the Year stakes. Gibberish. If you are going to refer to the skirmish between two towns in the second par, then you don’t burble on about archaeological details until after you have introduced the second town. You don’t need to say there were two invasions until lower down the story, either. 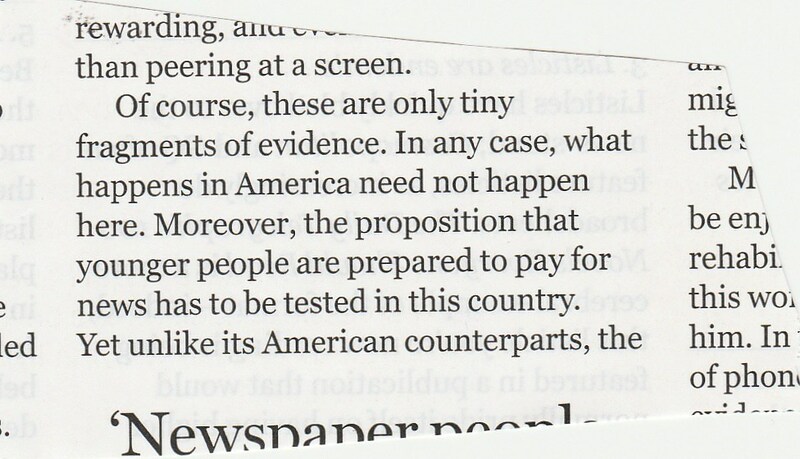 Keep it simple in the first few pars so that readers don’t lose the will to live. 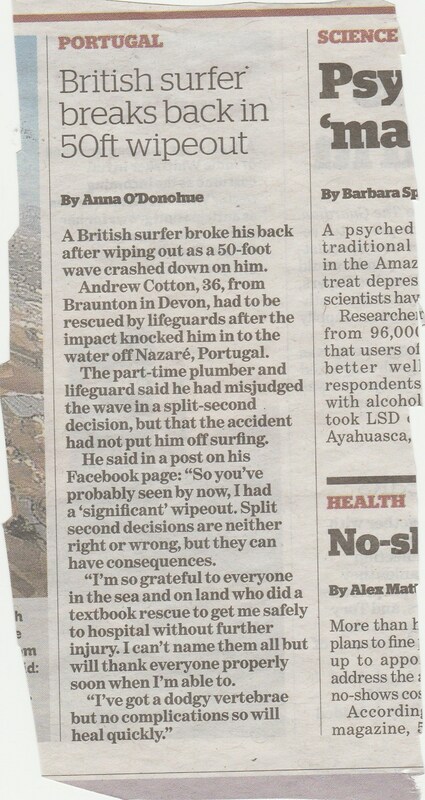 For example, what does it matter in the second par that the archaeologist is from Leicester University? It is unnecessary complexity. I’ve just noticed that the graphic refers to the Ebbsfleet ‘peninsular’. The term for a projecting area of land is a ‘peninsula’, and ‘peninsular’ is the adjective derived from it. 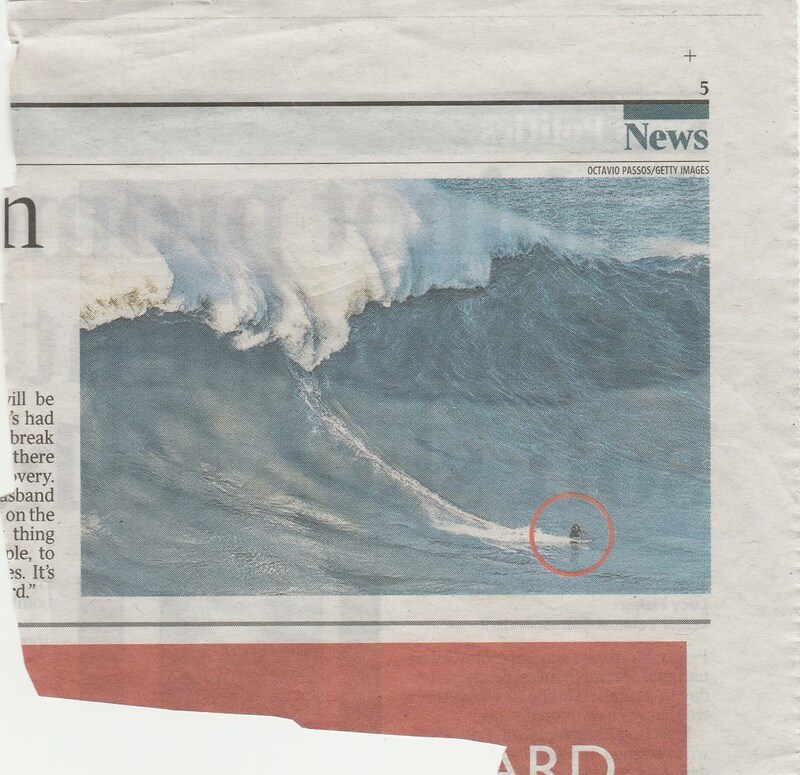 According to the Oxford, Cambridge and Collins dictionaries, the words ‘disaster’ and ‘catastrophe’ are synonyms. It is poor practice to start a sentence with a figure. A phoenix rises from the ashes, not from the flames. 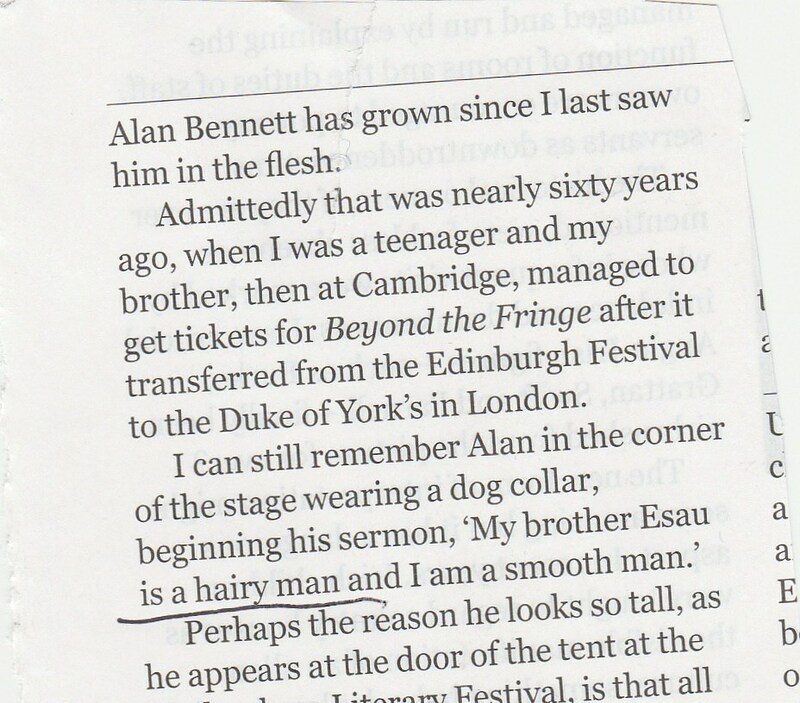 The quote is ‘an hairy man’, which is much of the joke. I suppose the old girl’s memory isn’t what it was, but someone on the Oldie should have known this renowned quote. Watch it on YouTube. The definition of ‘sell’ is to hand over something in exchange for money. 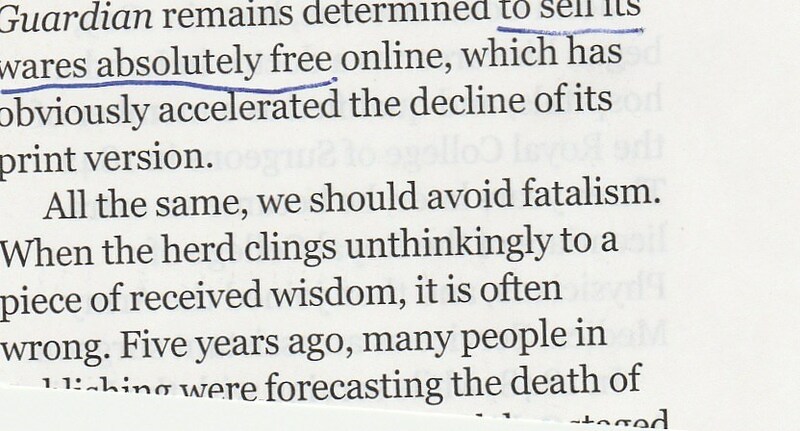 You can’t sell something free of charge, absolutely or otherwise (free cannot be qualified: you can’t have very free, almost free or slightly free). 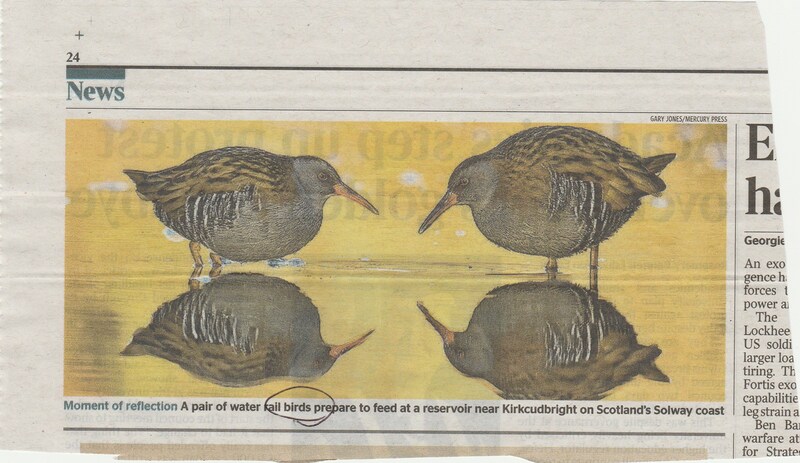 Alternative words could be ‘provide’ or ‘disseminate’. 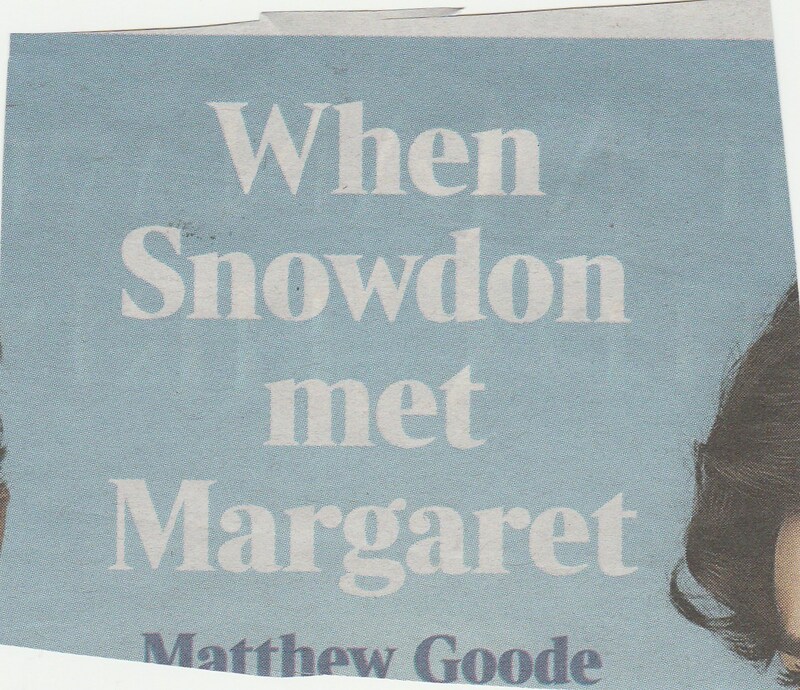 This heading should be ‘When Tony met Margaret’. Antony Armstrong-Jones met Princess Margaret in 1958. 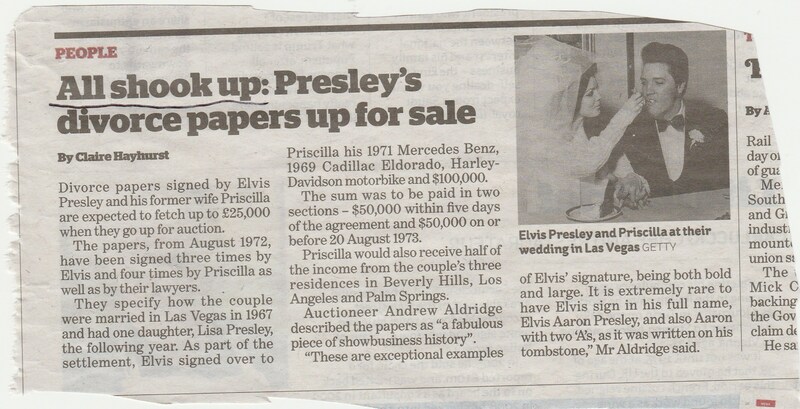 They married in 1960. He was granted an Earldom in 1961 and took the title Earl of Snowdon. I imagine many young subs will say, Well, that’s just a detail. Does it matter? Yes, it does. Older readers, and let’s face it, most newspaper readers are older these days, will know this heading is wrong, and it will reduce their confidence in the product. There seems to be a current attitude that near enough is good enough. This is not the case. Near enough will not do. It should be right. In general it is better to refer to animals as ‘it’ rather than ‘he’ or ‘she’, though some particularly cuddly creatures may merit a gender-specific pronoun. Reptiles, I would say (as a reptile fan), should always be ‘it’. However, if in your wisdom you have decided to call a snake ‘she’ . . .
. . . then at least be consistent and call it ‘she’ in the full story. Black-and-white proof that fools seldom differ. 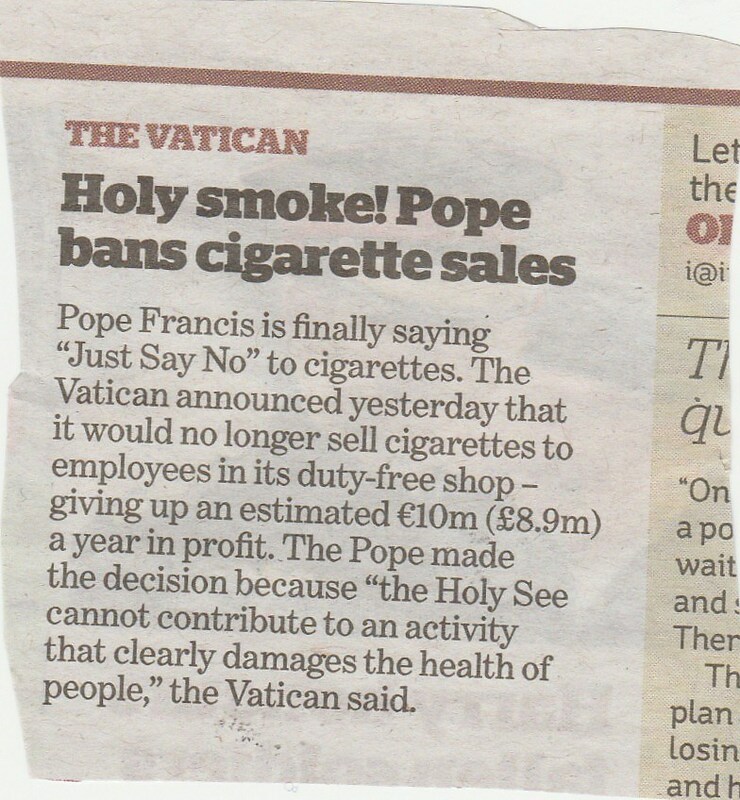 ‘Holy smoke’ is regularly trotted out on any story about the Pope, and it doesn’t improve with repetition. The i story is worse, with the silly line about the Pope saying ‘Just Say No’, which was the slogan of a US anti-drugs campaign several decades ago. 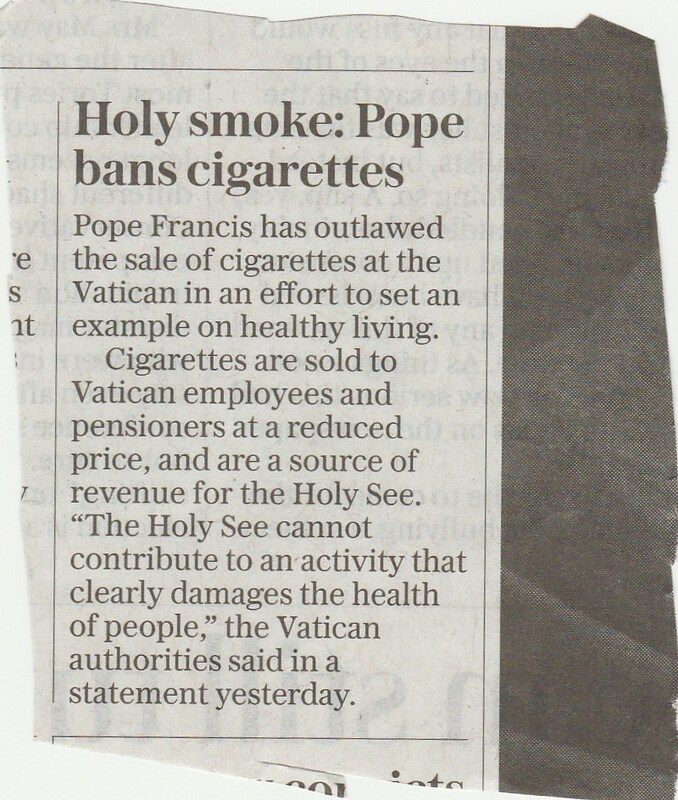 Both faithfully repeat the Vatican comment that cigarettes damage the health of people – not giraffes or parrots, then. I can guarantee that the Vatican would not complain if the quote were cut to ‘clearly damages health’. 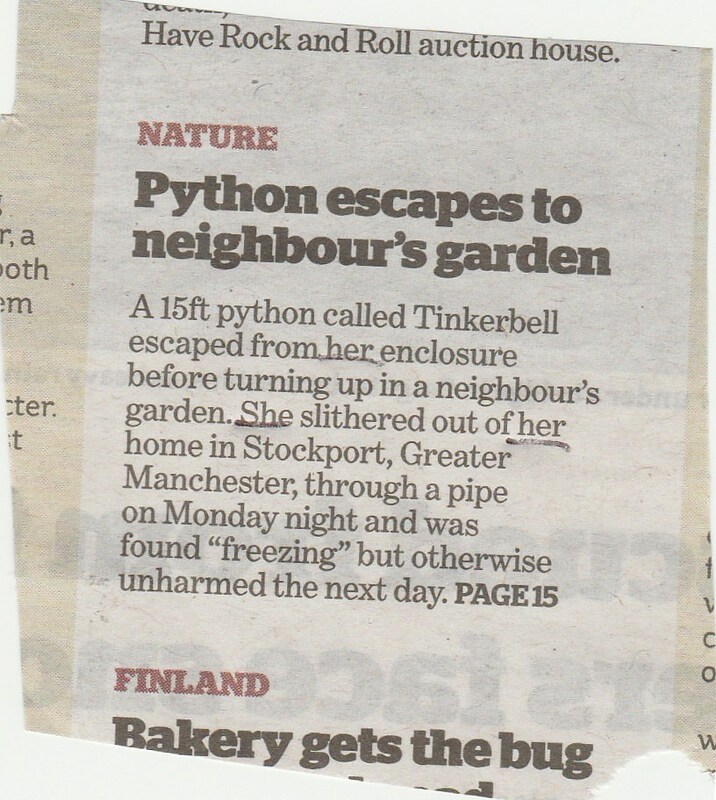 Headlines should be in present tense if at all possible. 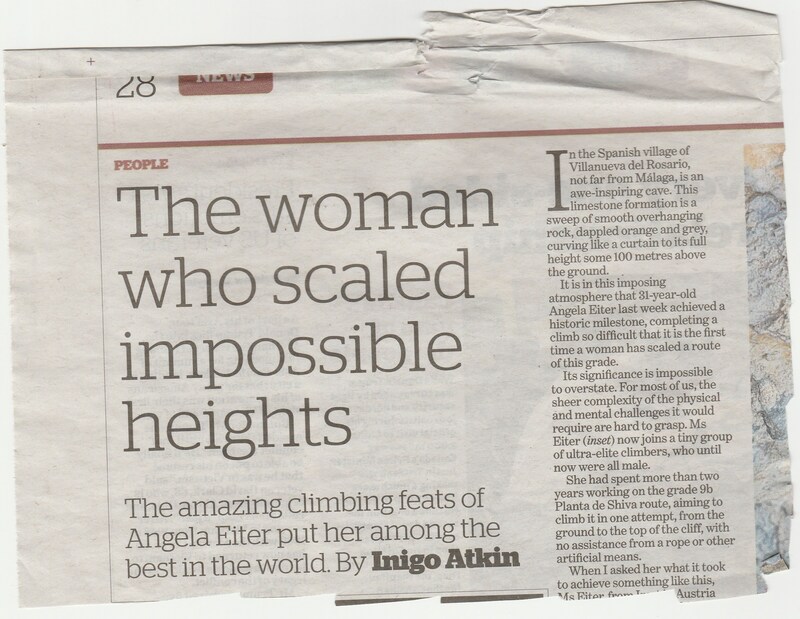 The copy makes it clear that the woman is still active, so ‘scaled’ should be ‘scales’. It’s an agency picture so the i would have had access to it. Incidentally, ‘vertebra’ is the singular, ‘vertebrae’ is the plural used incorrectly here.